General Motors 1963 Demonstrator Set. 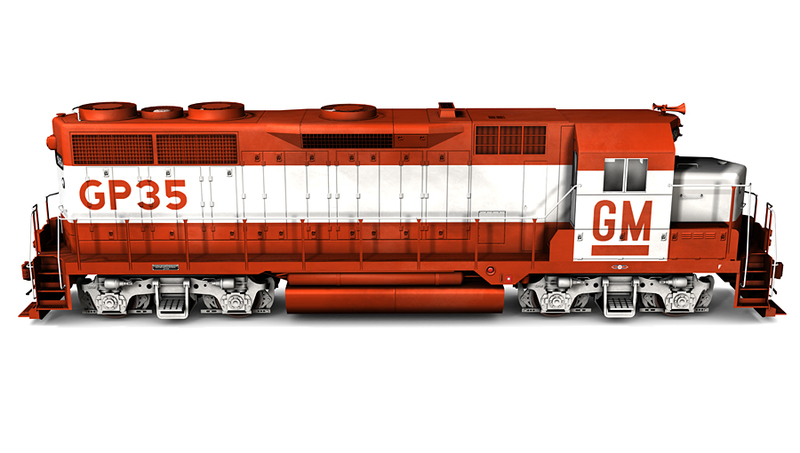 Includes GP35s 5652 and 5654; DD35s 5653 and 5655. 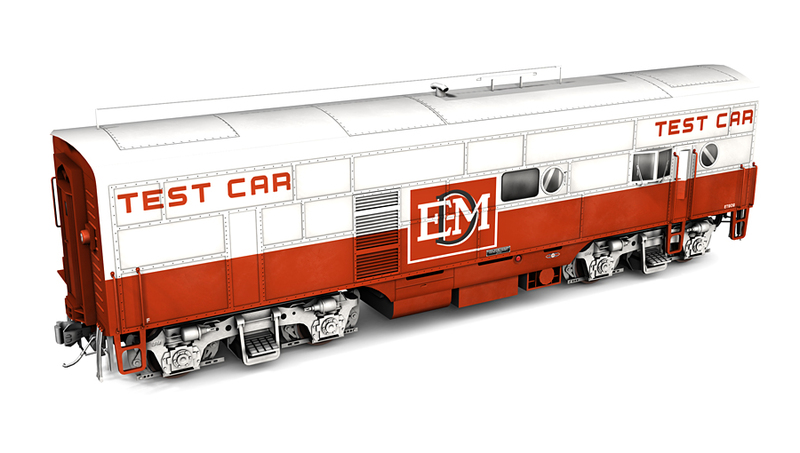 Set comes with EMD Engineering Test Car 909. 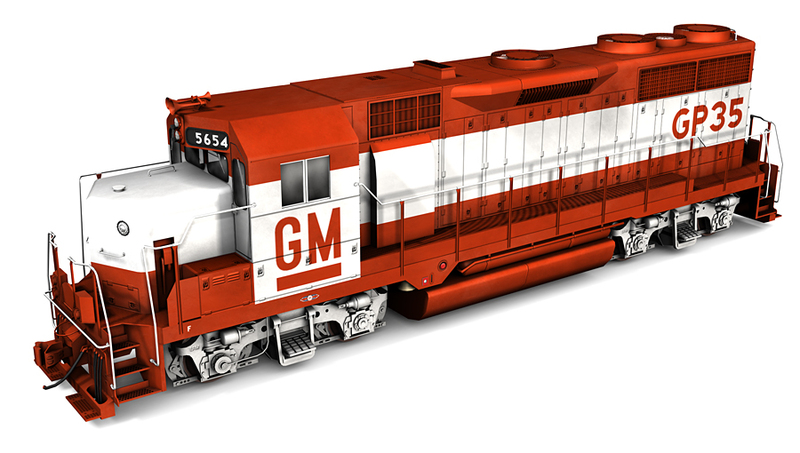 The EMD General Purpose 35 locomotive was introduced in 1963. 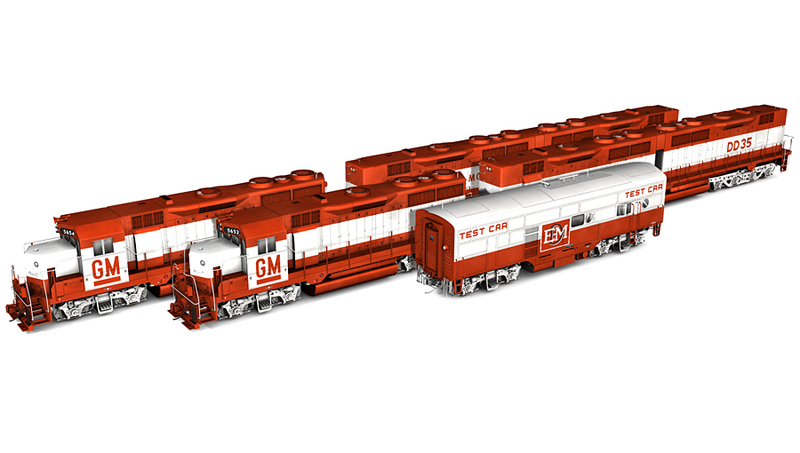 Following the GP35's introduction, EMD introduced the Double Diesel 35 cabless booster. 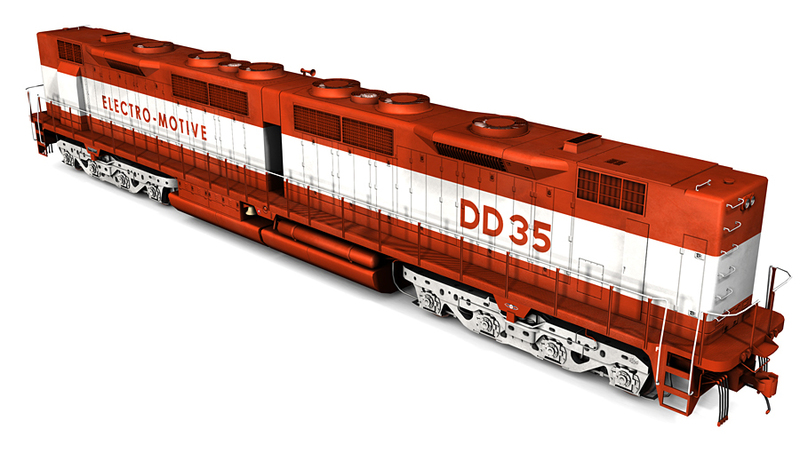 The DD35 booster was created at a request from Union Pacific in their search for the ideal diesel locomotive. 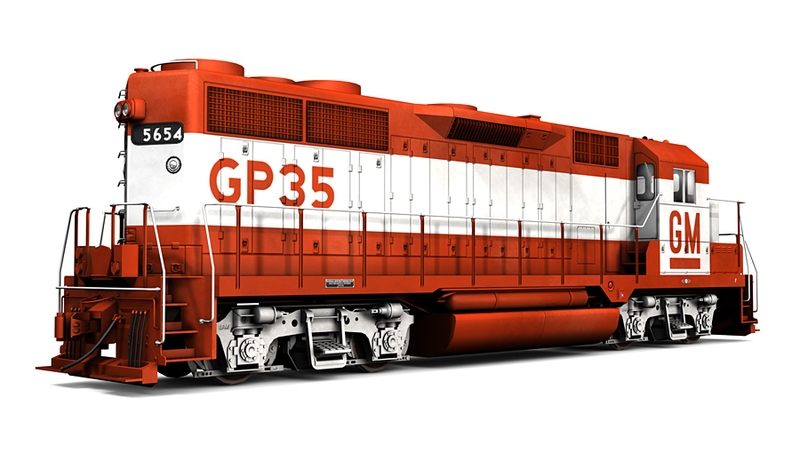 Essentially two GP35s on a common frame, the DD35 was originally intended to only be used as a booster unit. However, following UP's initial order of 25 DD35 boosters and 22 matching GP35s, another order of 15 DD35 boosters was changed to cab equipped units. 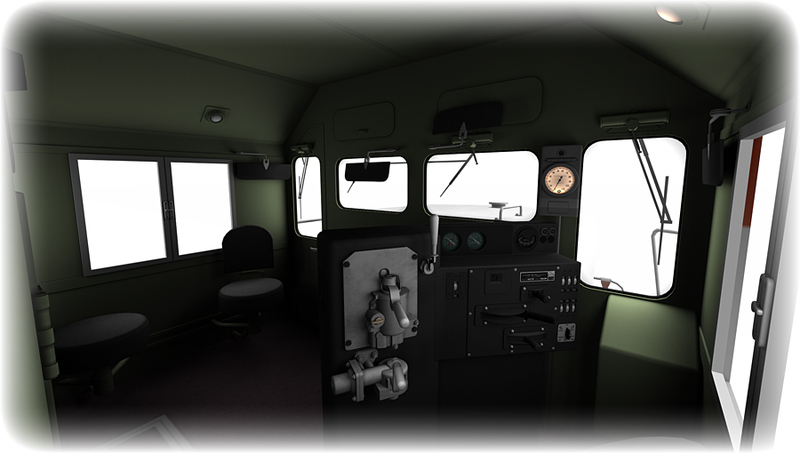 Utilizing the "spartan" cab that was originally used on the GP35, the DDA35 was delivered in 1965. 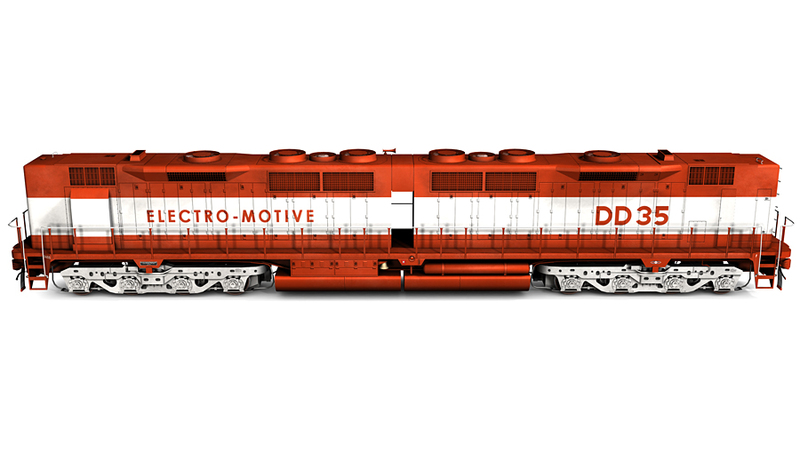 The DDA35 was a further development of the double diesel concept. In order to make room for the cab, the radiators were fit into a smaller area than on the DD35. This moved the radiators upward and ultimately gave them their distinct flared look. 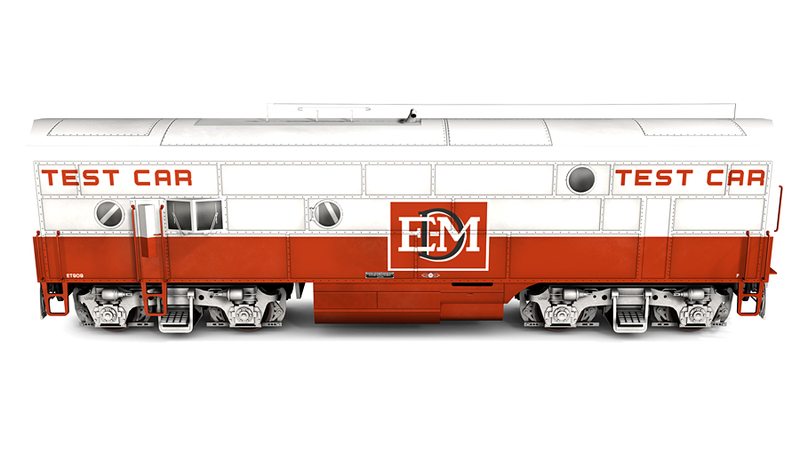 Other than the Union Pacific, Southern Pacific was the only railroad to purchase units from EMD's Double Diesel locomotive line. The Double Diesel 35 units were used on UP for more than a decade, and all were retired before 1980 and eventually scrapped. The 35 Series are performance-oriented models. This model is made to maximize performance on weaker hardware by sacrificing aesthetic detail.